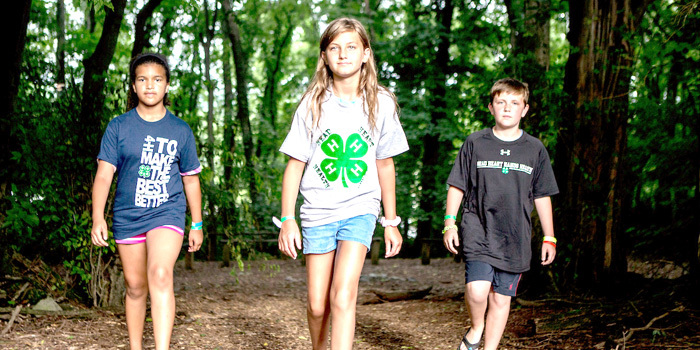 4-H Camp will be held June 5-7, 2019, at Camp Adventure where campers stay in bunk-style housing and participate in whole-group swimming pool time, high and low ropes courses, hands-on nature exploration and traditional camp bonding. KOSCIUSKO — All youth in grades 3 -6 during the 2018-2019 school year are invited to participate in space-themed “Mission Possible” 4-H Camp at Camp Adventure near North Webster. This is three days and two nights of friends, food and fun with 4-H members from Fulton, Kosciusko and Starke counties. Participants must first enroll in 4-H through in.4HOnline.com and pay the $20 annual program fee. Once properly enrolled, interested campers must complete their camp registration form which can be found online at https://bit.ly/2HKnDdn. Return completed forms to Purdue Extension 202 W. Main St., Warsaw, Ind. 46580, with $75.00 per camper made payable to the Kosciusko County 4- H Council starting April 1 and no later than May 1. We are limited to 40 campers from each county, so applications are on a first-come, first-served basis. Please write “4-H Camp” and camper name in the memo line of your registration check. Campers will receive further information about the camp schedule and items to bring to camp in late May. Also, with their 4-H enrollment, they are eligible for many other workshops and learning events through the fall of 2019. If you have any questions regarding 4-H and the camp opportunity please contact the Purdue Extension Office (574) 372-2340 or e-mail [email protected].